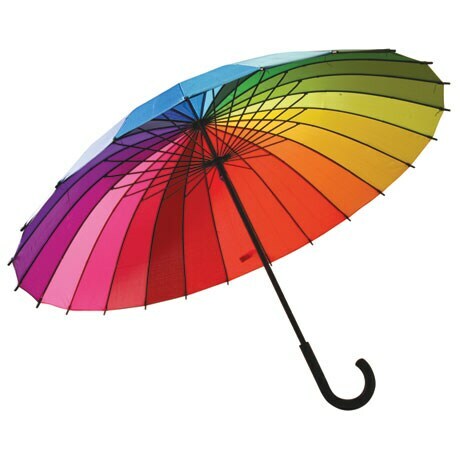 Most umbrellas have eight panels. 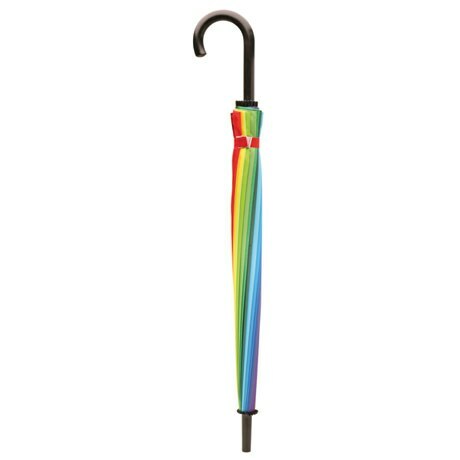 This one has 24, the better to display a generous spectrum of rainbow hues. 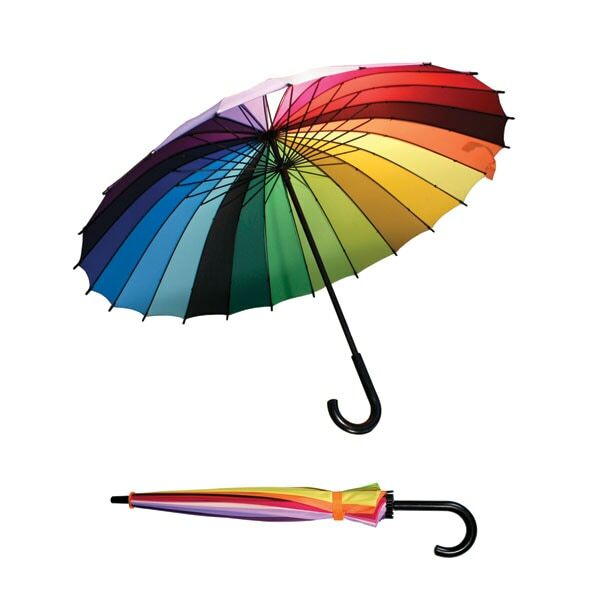 Why stick with basic black when you can carry a rainbow? 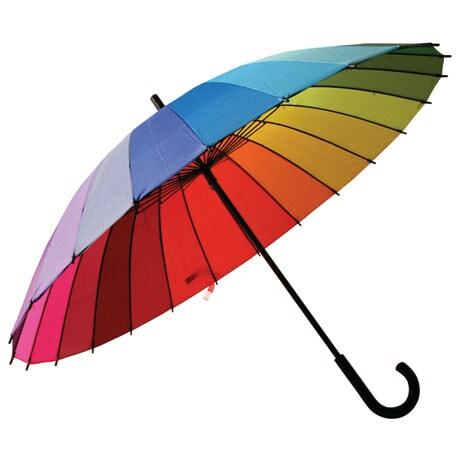 Full-size umbrella has a 40" span. 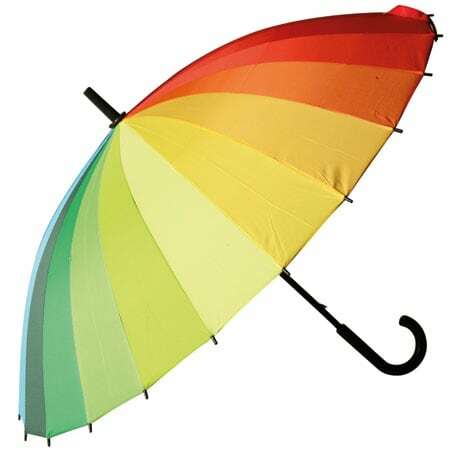 Nylon canopy, lightweight metal frame, rubber-coated handle. Imported. No gift wrap.